Beanie Baby Birthday – Wallace the Bear! 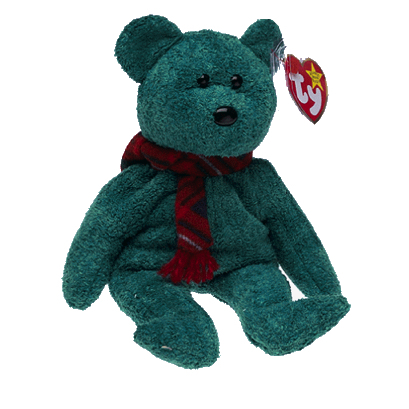 He is a teal coloured bear with the same soft, suede effect material as Fuzz the bear, another Beanie Baby bear released in 1999. Wallace wears a cute, red tartan scarf around his neck. Red, green and a little tan! He was retired only four months after his release date on 23rd December 1999. Wallace also has the same Birthday as Robert Burns, which is where Burns Night comes from, which is also today! So for those celebrating, Happy Burns Night! Have you got Wallace in your collection?